In Japan many companies are already using social media such as Facebook, Twitter, LINE and Instagram for marketing purposes. In 2018 using influencer marketing is a strategy more and more Japanese companies are implementing alongside their social media strategy. Consumers are exposed to over 10,000 messages from brands every day according to IE School of Human Sciences & Technology, and this number is increasing. So how can brands stand out from the crowd in Japan? Effective engagement is the core to any approach. Effective engagement can be generated with interactive campaigns, content, and most importantly, influencer marketing. For successful influencer marketing, engaging with the audiences is a must. Today, we would like to share with you 6 Japanese influencer marketing trends for 2018. Be ready to develop your influencer marketing strategies, and create the very best new practices this year! Instagram is the most popular platform in Japan for influencers collaborating with B2C brands. In Japan, the most used hashtag is ‘インスタ映え’ pronounced, ‘Insta-bae,’ and it means to be photogenic on Instagram. This term was selected as one of the most used Japanese Buzzwords last year. The result of this was many brands creating photogenic products, ready for Instagram, to attract their audience. YouTube is on also on the rise in Japan, with many influencers producing gaming, food, stunt, beauty and other videos. On the other hand, the use of Facebook has been decreasing since 2015. However, you always need to keep an eye on the use of social media in Japan as there are many other platforms such as personal blogs (ameblo) and other networks on which influencer marketing is running. As you may have already noticed, influencers started using the new paid partnership feature on Instagram. The feature launched last summer when Instagram wanted brands and influencers to be more transparent when doing their businesses. We know that this feature will be effectively used by brands, but also it comes with challenges. For instance, using the feature for non-English speaking countries like Japan needs a different approach. Most influencers would prefer just to use a hashtag and written text. Instagram Stories give users the chances to think outside of the box. They allow influencers to create branded content more freely, as the content lasts only 24 hours, they need not worry so much about curation. We have found the Instagram stories work well with influencers unboxing products and reporting on events. In Japan, Instagramers often use SNOW’s filters (an AR app) and stickers on Instagram Stories. Japanese brands sometimes develop original filters and stickers which help hold together a campaign on other various social media networks. IGTV introduced June 2018 in Japan will also long form TV to Instagram. We can expect many influencers to start using this feature. Social media is commonly used in B2B marketing, but it’s not so well-known that influencer marketing is increasing in this sector as well. B2B influencers are people who’ve established their position as an opinion leader or an expert in a specific industry — they mainly use LinkedIn Facebook, Instagram and Twitter. B2B influencer marketing isn’t very popular in Japan at the moment. However, this is definitely something to look out for even if you are working with B2B brands. 5. Don’t forget influencer relationships! Influencers engage with their audience, and to complement, brands need to also engage with those influencers. It’s a competitive and limited environment within the Japanese market, various brands try to reach out to influencers to promote their products and services. Getting the attention of influencers and building relationships with them are crucial. Do not think influencers are just people simply promoting your brand. Influencers have a brilliant ability to connect with their audiences through their personalities. Building and maintaining relationships with influencers should always be considered in your marketing plan. There are many influencer marketing agencies that help brands generate effective influencer marketing and reach the right influencers for your brand. 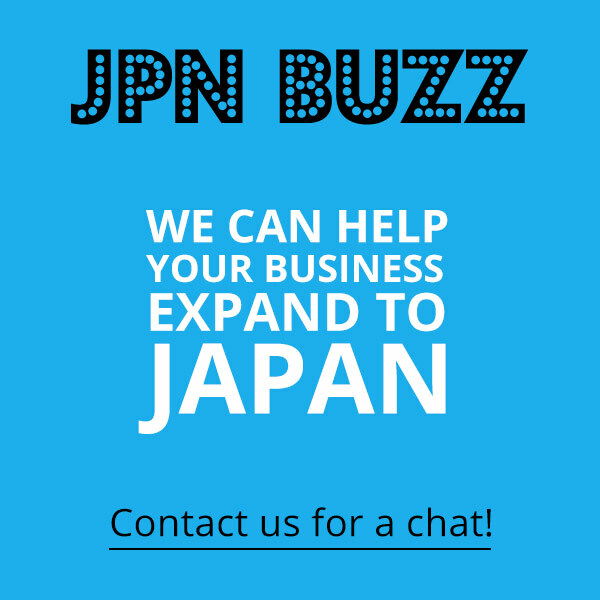 However it’s best to find an agency that specialises in the Japanese market when marketing in Japan. This will help overcome cultural and language issues. JapanBuzz of course is an excellent choice! How Do You Measure the ROI of Japanese Influencer Campaigns?